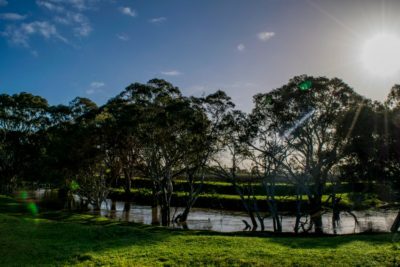 You call yourself a wine lover, but you’ve never been to Langhorne Creek? 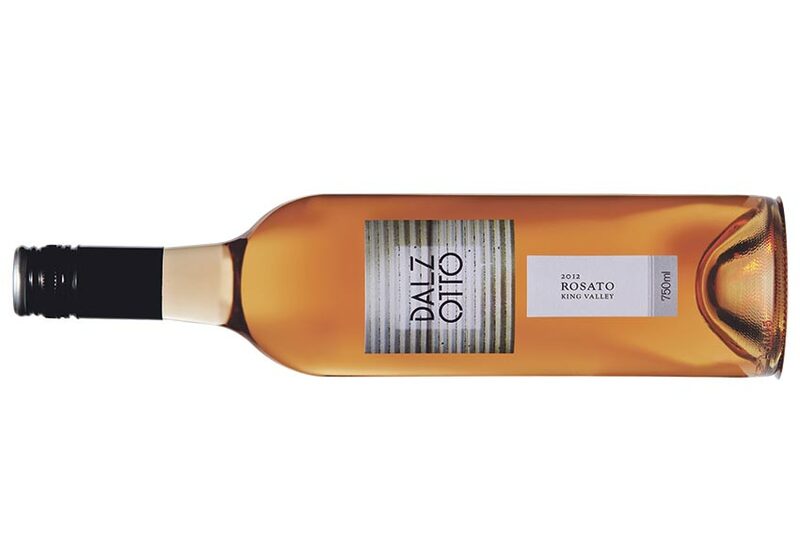 With the region’s extraordinary three–trophy haul at the 2016 Sydney Wine Show, it really is time to take the trip. 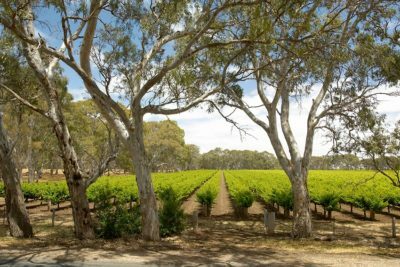 For more than a century, Langhorne Creek has produced high-quality wines to a lack of public recognition that equates to a cloak of invisibility. James Halliday, in his 1985 Australian Wine Compendium, refers to the region’s “relative obscurity”; eight decades earlier, journalist Ernest Whitington’s 1903 vintage survey cited Langhorne Creek’s crush at 33,500 gallons, but without any other detail – he regretted that he “had not time to go down to see the vintage here”. Whitington, at least, was looking at a journey by horse and cart. For modern visitors, there’s no excuse: the 70 kilometres from Adelaide take about an hour via the freeway and Mount Barker, or, if you’re heading up from Goolwa, it’s about 40 minutes. Reasons to visit multiply: a critical mass of cellar doors has been reached; trophies and gold medals for the region’s wines flood in from the major wine shows. 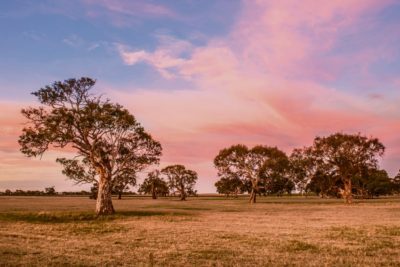 You also have the benefits of scenery that blends vineyards and ancient river red gums, small town charm (population 760) and a fascinating history. A refreshed website has just been launched to promote the region to visitors. The 19th century instigator of viticulture at Langhorne Creek was Frank Potts, and Bleasdale, the winery he founded, remains synonymous with the region. A former Royal Navy powder monkey, Potts emigrated to South Australia on the Buffalo. After spending time as a boat builder on Kangaroo Island, he set up as a mixed farmer on the floodplains of the River Bremer in the 1850s. It was Potts who instituted the system of weirs and sluices that to this day enables vignerons to corral and share the winter over ow of the Bremer for irrigation, ushering the floodwater from vineyard to vineyard. You can find fifth-generation members of the Potts family behind the counter at Bleasdale’s cellar door, and the ancestral talent for woodwork can still be seen in the winery’s disused, monumental red-gum grape crusher, with its three-and-a-half tonne lever. Pop in to the galvo winery shed for a look. 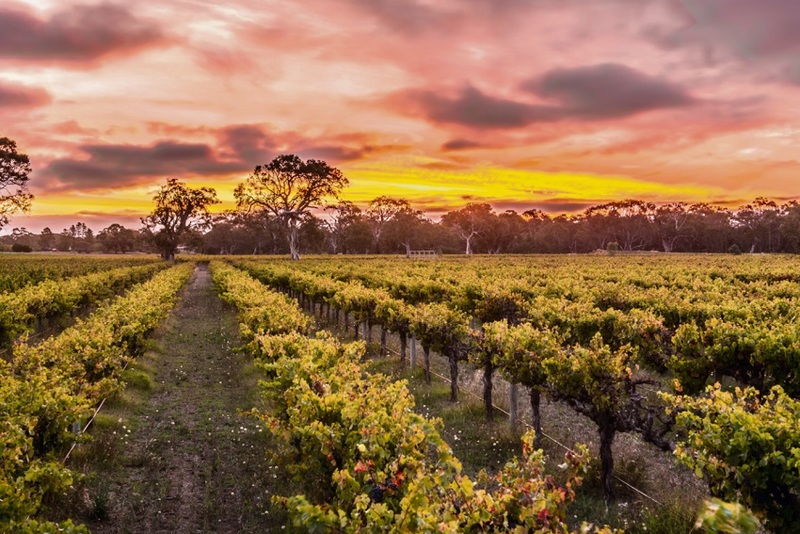 Public recognition may have proved elusive, but the wine industry itself keenly appreciates Langhorne Creek fruit, thanks in part to the rock-steady quality of Stonyfell’s Metala, a very popular red blend made from the region’s grapes since the 1950s. Further endorsement came from the canny Wolf Blass, who harnessed the Creek’s Shiraz and Cabernet to underpin three successive Jimmy Watson winners in the 1970s. 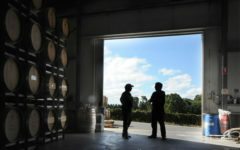 Alongside the steady growth in plantings by big companies over the past 30 years (this year’s crush exceeded the Barossa’s), a few local brands have emerged, most notably a long-time grape-growing family, the Folletts, who finally took the plunge as Lake Breeze Wines, and a rare interloper in the form of Craig Willson, who set up Bremerton Wines, now run by daughters Rebecca and Lucy. 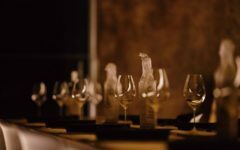 There are currently seven cellar doors including the Winehouse, which acts as front-of-house for several smaller-scale labels, including Ben Potts, Gipsie Jack and Kimbolton, as well as the locally sourced Heartland wines by Ben Glaetzer. If you need a cleanser, it’s also home to boutique brewer Meechi. One of the quirkier cellar doors is Rusticana Wines, where wines made by industry legend John Glaetzer share pride of place with the production of Newman’s horseradish and other condiments; you can see the serried ranks of horseradish plants from the elevated tasting room. 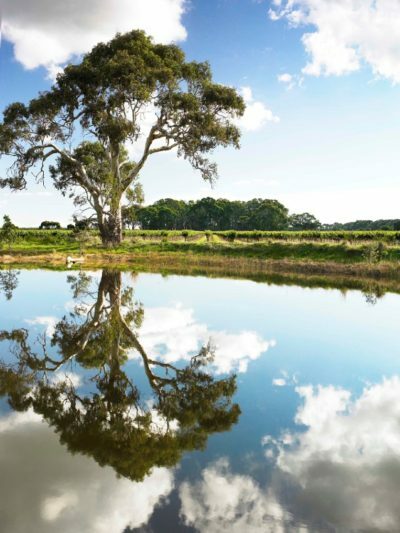 A major surge in profile and clout for the region came with the 2014 accreditation of the Langhorne Creek Wine Show as part of the national show circuit. The local wines’ continuing high ratio of medals to entries is testament to impressive overall quality and consistency. 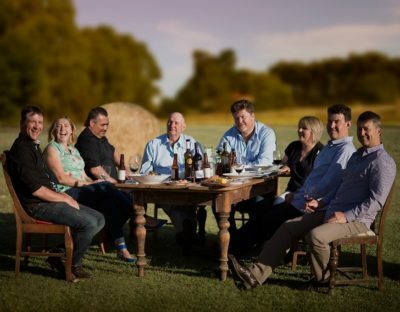 Bleasdale, with its current winemaker of nine years, Paul Hotker, is having a remarkable run of success, not just locally but at the big, capital city wine shows. Bleasdale wines took two trophies at Sydney in July, one for its Second Innings Malbec ($20 at cellar door) and one for the yet to be released 2015 Grenache Shiraz Mataro. Bleasdale has been making a straight Malbec since 1961, while the GSM is a more recent style. 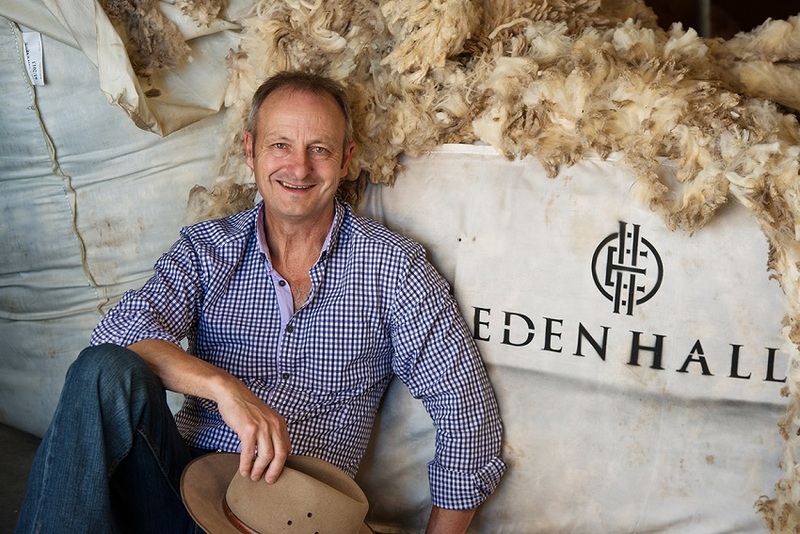 Hotker hopes the prizes and the resulting interest in the Creek will mean the wines get a chance to shine on their own terms, liberating growers and makers from the edicts and tastes of buyers from other regions. The other local trophy winner at Sydney was the soon-to-be-released Lake Breeze 2013 Arthur’s Reserve, a Bordeaux-style blend dominated by Cabernet Sauvignon with lesser proportions of Malbec and Petit Verdot. Like the Lake Breeze Cabernet ($25) and the cult Shiraz-Cabernet blend Bernoota ($20), the Arthur’s Reserve (at around $40) has been wowing the show circuit for several years. Hotker says Greg Follett has “been doing it on his own for a long time”, but with other Langhorne Creek winemakers picking up prizes, momentum is gathering for the region. 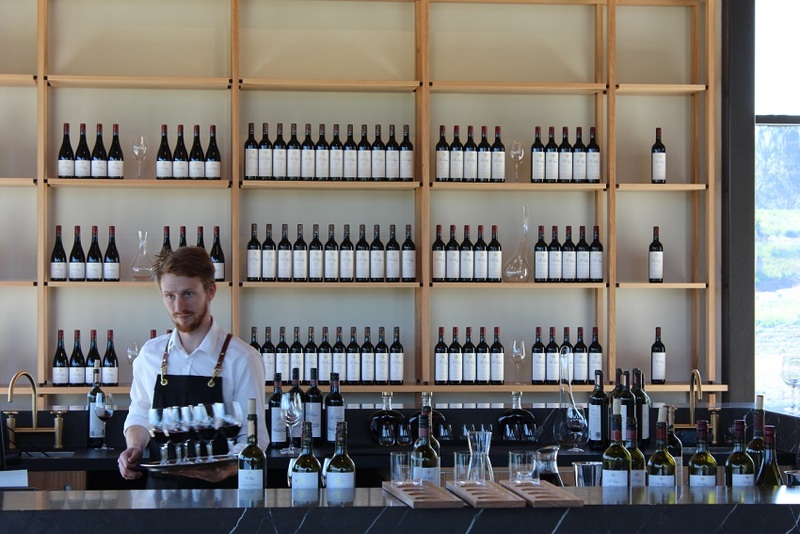 Langhorne Creek makes for a great day trip – the cellar doors are seldom crowded, and winemakers or family members are often pouring the wines. Tasting platters as well as more substantial dishes are available daily at Lake Breeze and Bremerton, and at Angas Plains Wines later in the week, or there is pub fare at the Bridge Hotel. And there are a few bed-and-breakfasts if you’d like – or need – to stay. Just turn east out of Strathalbyn, or shave off a few kilometres by taking the Wellington Road. And I suggest you get on your bike – with all the prizes, those niggardly wine prices have to go up some time.